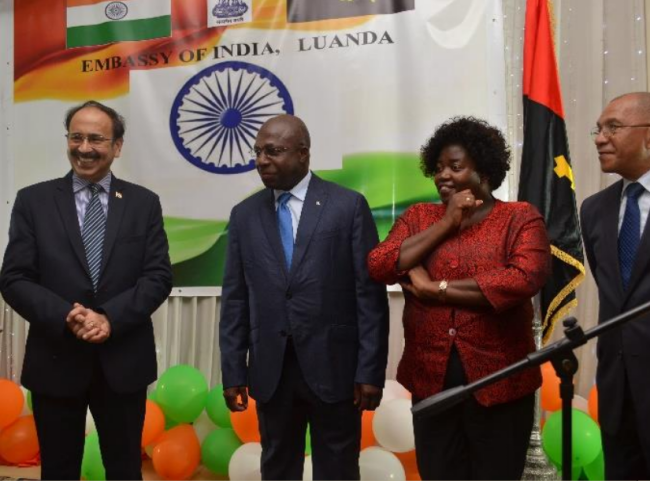 Ambassador of India H.E Mr. Srikumar Menon, hosted a diplomatic reception at Largo de LAC in Luanda on the evening of 25 January 2019 to celebrate the 70th Republic Day of India. 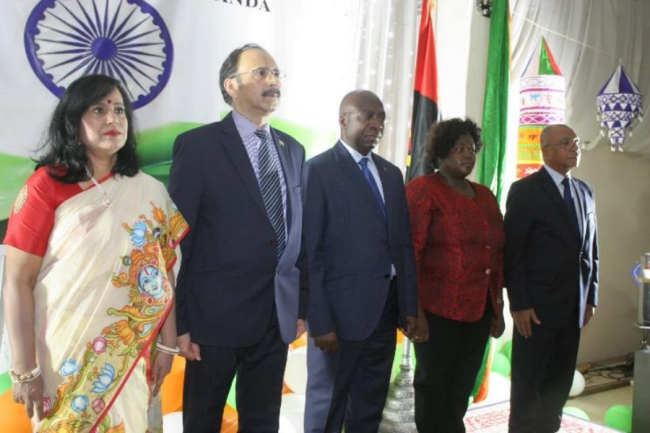 Three Deputy Ministers/State Secretaries of State, senior bureaucrats from the various Ministries and Government Departments, Heads of Missions/ Ambassadors and representatives of Diplomatic Missions and UN agencies based in Luanda and prominent members of the Indian Community attended the reception. The Ministers who graced the occasion included – H.E.Ambassador Tete Antonio, Secretary of State for External Relations (MIREX), H.E. Mr. Amadeu de Jesus Nunes, Secretary of State for Trade and H.E (Ms.) Guilhermina Fundanga Alcaim, Secretary of State for Youth. 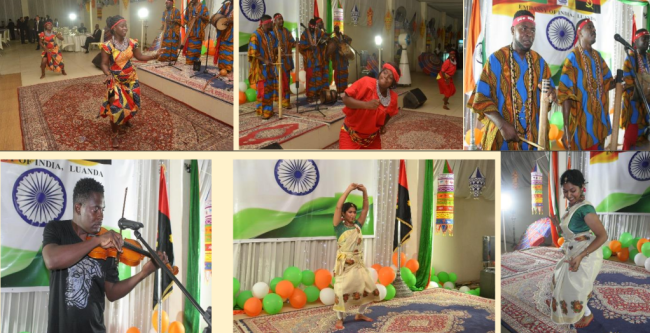 After Ambassador's welcome address, a cultural programme was presented. 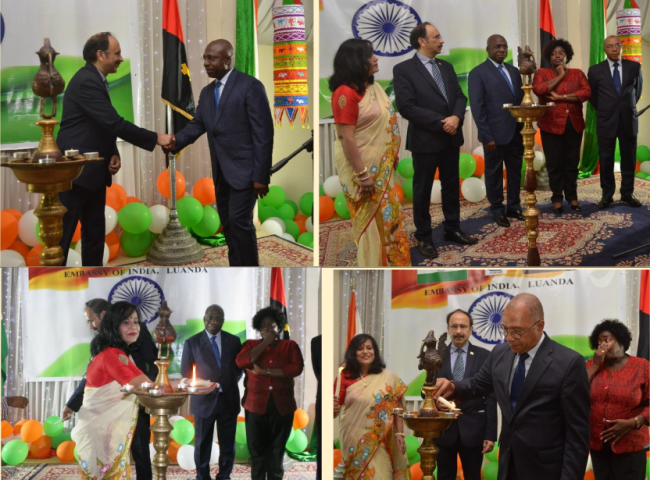 Local Angolan Dance and Music group (Nguami Maka), performed a medley of traditional folk dances, while members of the Indian community performed Indian classical and folk dances. Here are glimpses from the event….